Every mexican martini recipe has the same basic alcohol components – tequila and orange flavoured liqueur. But when it comes to mix, there are a bunch of variations of the mexican martini. 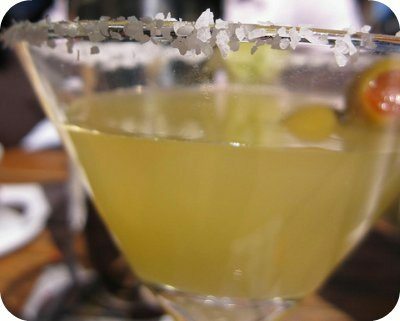 Many people say that the mexican martini was born in Austin, Texas where it’s a very popular drink. However, no one knows for sure the origin of the drink and every old pub in Austin will likely claim it as their invention. But alas, where it came from is not as important as how good it tastes! For our purposes, we’ll show you our favorite mexican martini recipe and then give you some variations that we’ve seen – and let you be the judge. As with all drinks, the quality of the ingredients plays a big role in the final taste of the drink. Although its called a mexican martini, its actually closer to a margarita than a real martini. As we mentioned before, you’re bound to find different variations of the mexican martini depending on where you order it. As everybody’s tastes are different, you’ll have to experiment yourself to find the combination you like the best. Here are some we’ve come across. Since bars tend to use whatever Tequila they have on the bar, we didn’t include a specific brand. Some people prefer silver over gold or vice versa. We’ll just tell you to use the highest quality tequila you (or your bar) can afford (or whatever price point your customers are willing to pay).If you’re offering these tasty little concoctions at your bar / restaurant, you may want to consider offering a regular version, using a cheaper tequila and triple sec and a premium version using a higher quality tequila and either Cointreau or Grand Marnier. You can check out our other pages on Drink Recipes, like Cocktail, Martinis, Shooter Recipes, Mixed Drinks, Non-Alcoholic Drink Recipes, And everybody’s favourite Tequila Recipes.